Every day is is a new day to learn something in our home. Some days we are counting shells at the beach, figuring out how to get sticks through rails on a bridge, painting sunsets and trains on paper, or playing a matching game. As adults and as children, we are always learning. 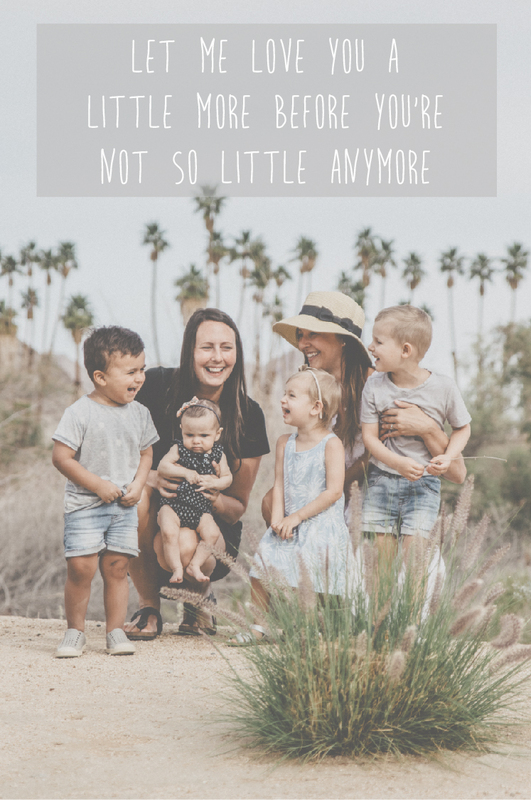 Having my children at home lets me see firsthand how incredible it is when your child learns how to share, to bake cookies, to feed the local ducks or identifies a new letter and its sound. As a Kindergarten teacher I had many puzzles and games from The International Learning Journey in my classroom. The puzzles were engaging, visually appealing, and always had a purpose behind the playing. 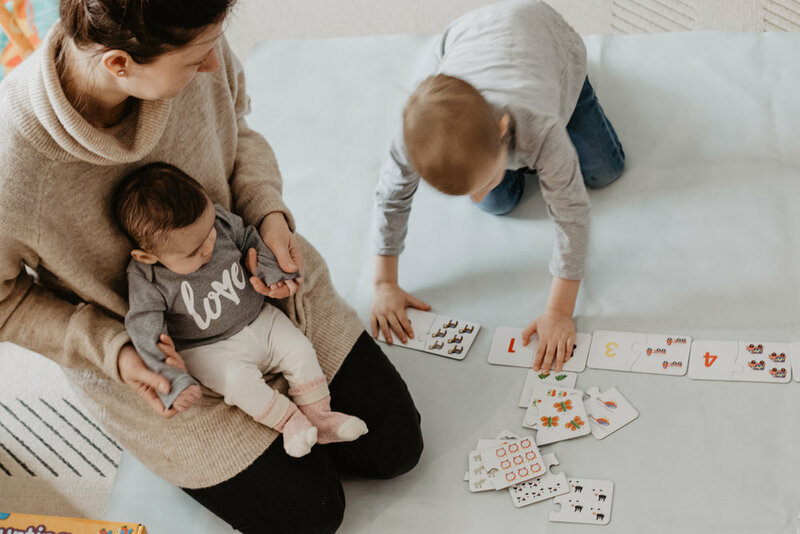 Now, as a mom, I find that I'm often recalling moments, ideas or activities I used in my classroom and incorporating them into my own home. My First Match it puzzle series by TILJ are perfect for younger children. There are different themes and pictures such as Things that Go, Things I Eat, and Heads and Tails. 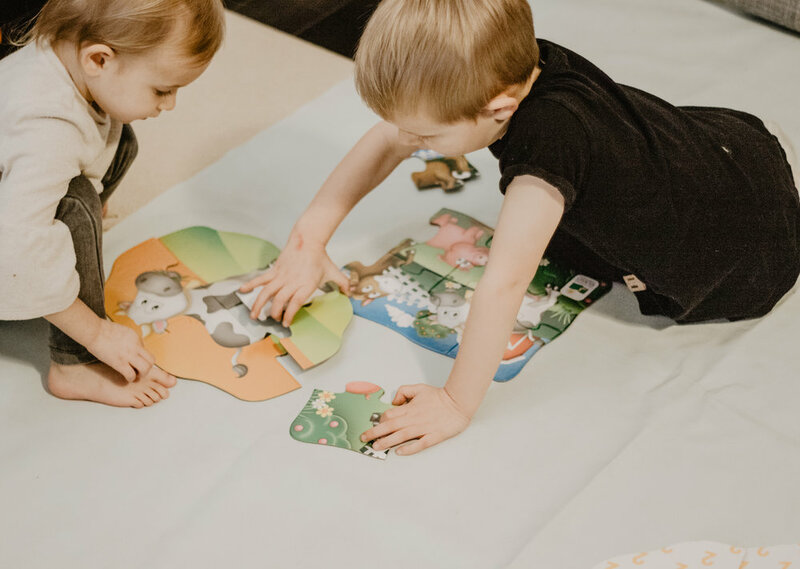 Cairo and Kinsley, who are both 2, loved finding success doing this puzzle activity. They often see their older cousin working on harder, more complex puzzles and want to join in, so this was perfect for them! The pieces are big enough for their little hands to grasp and the pieces fit in beautifully in the box. Match it! 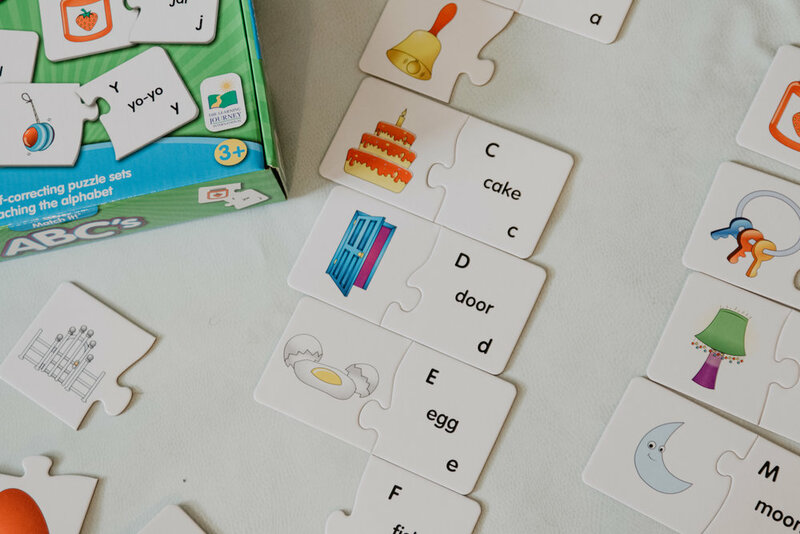 ABC's is a great option for preschoolers who are learning their letters or for children newly in school to reinforce their learning. The pieces are all self correcting which allows your child to independently complete each puzzle on their own. The pictures are bright, easy to recognize, and I love that you can just chose to do 10 specific letters if you are focusing on certain ones, or take out all 26! This is a great puzzle that you can modify to adapt to your child's needs easily. Whoever made the first musical toy - this momma wants to give you a big thank you. I know that some parents don't love activities or toys that make noise but my kids LOVE anything to do with music. The ABC Melody Maker is amazing!! It was one of our kids' favourites. 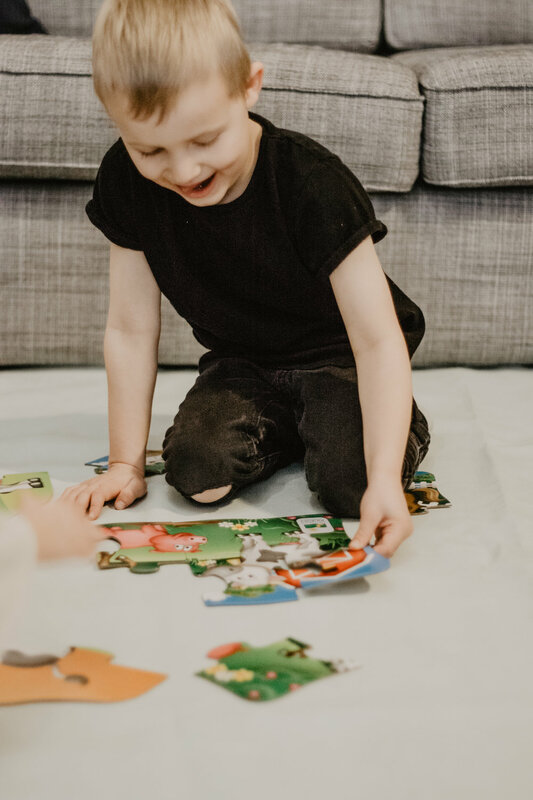 There are so many different games and activities you can do with the Melody Maker. 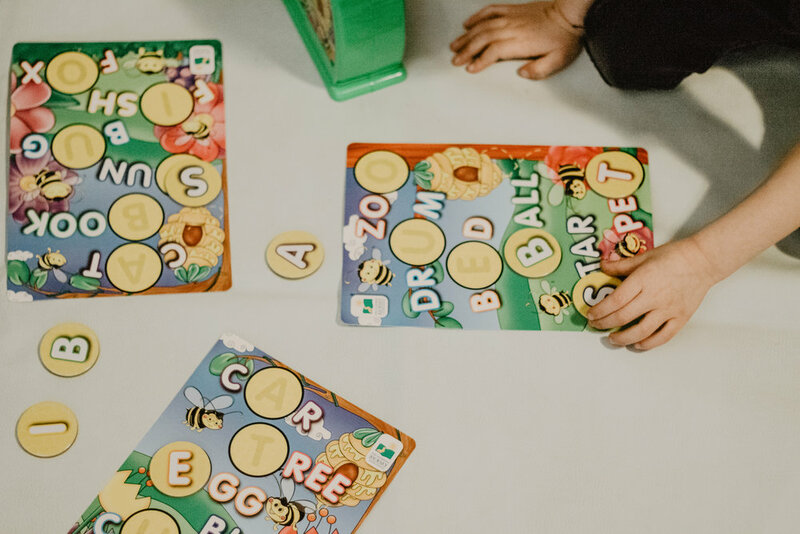 You can create songs, you can learn specific notes to play songs, each letter makes a letter sound when you press it, and there are built in games for children they can play such as "find the letter". I've always noticed that the best way to understand something is to explain it and teach it to someone else. This is what learning is all about. It is the older, more experienced child helping teach the younger child where the puzzle pieces go. It is the younger child being inspired by the older child to attempt to complete a puzzle! Together they worked on four different puzzles - each puzzle had a few more pieces than the next from the 4-In-A-Box Puzzle Farm set. I love how the TILJ incorporates learning into games. The Grab It! Spelling Bee matching game was exciting for our kids and each one wanted to take a turn popping a letter out and placing it on their board (our 2 year olds definitely needed help with this one!). Cairo still asks to do this "activity" almost on the daily. I love when companies make games with children in mind. All of our kids could operate the "popper" machine without any adult help!! Yes please! 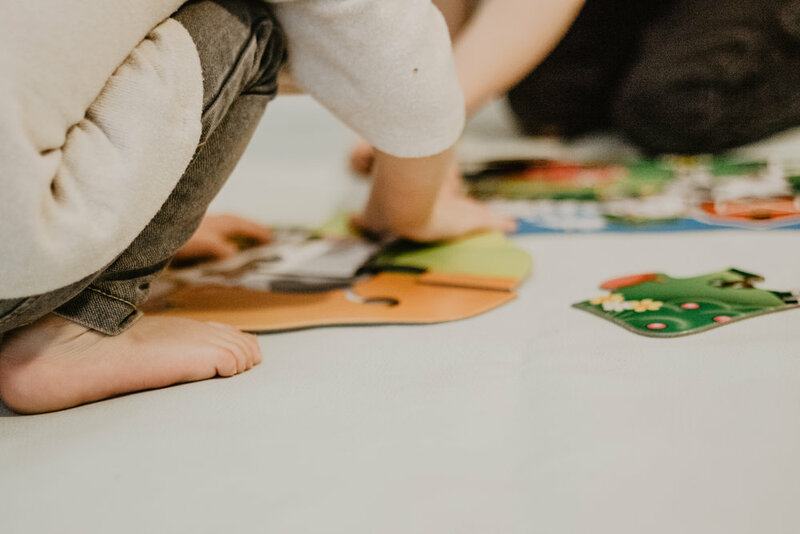 Maybe you have kids at home and you are looking for a few more activities that encourage learning, take a look online at TILJ. They have so many great resources and I am ready to add a few more to my home. You can find these online at their website or on Amazon and Target!